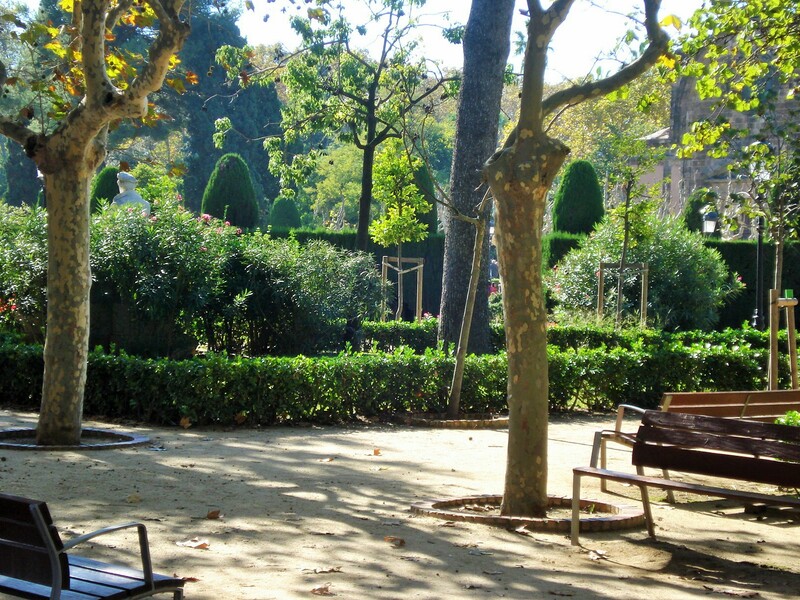 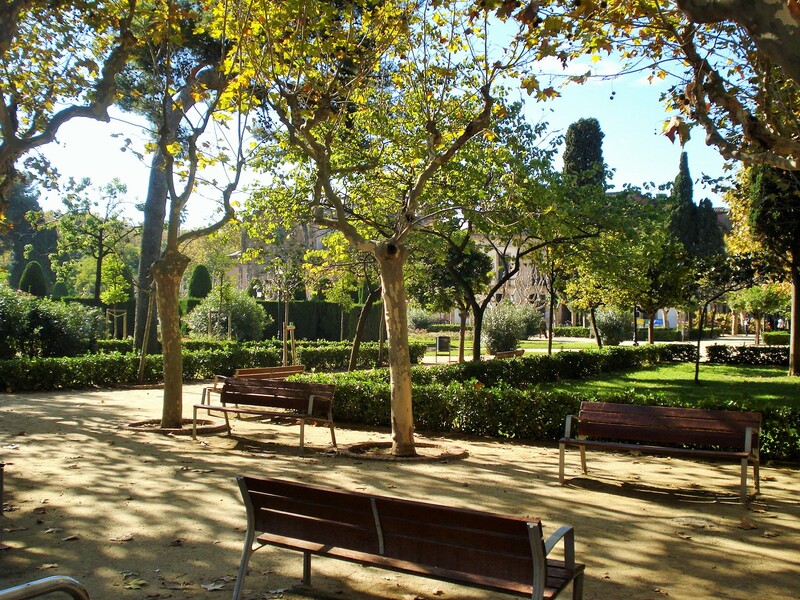 The Ciutadella Park in Barcelona is the largest and oldest city park. 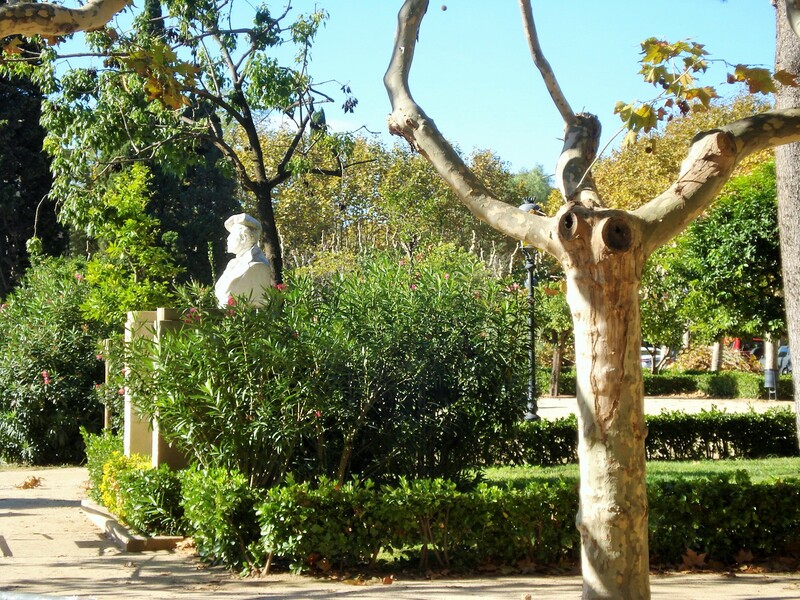 It was established in the mid 19th century and was for a long the only substantial green space in the city with about 70 acres of paths, trails, a lake, and assorted statuary and buildings. 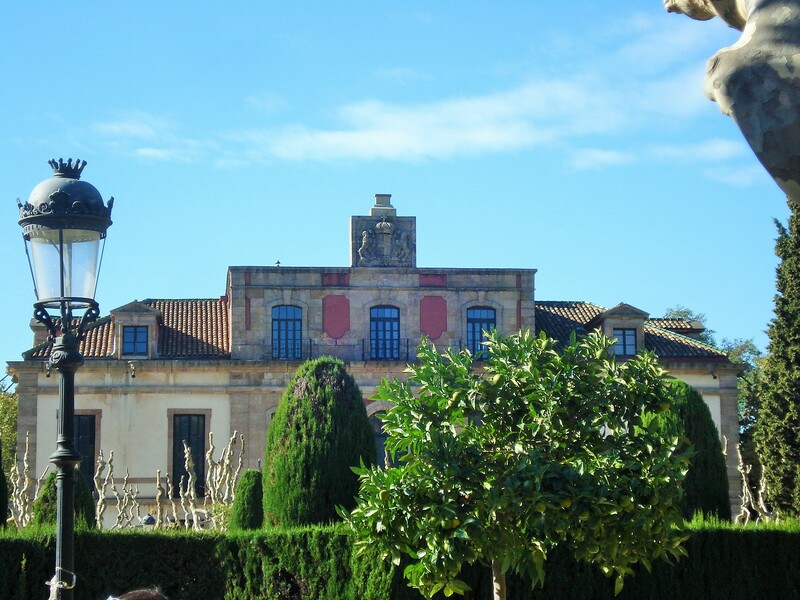 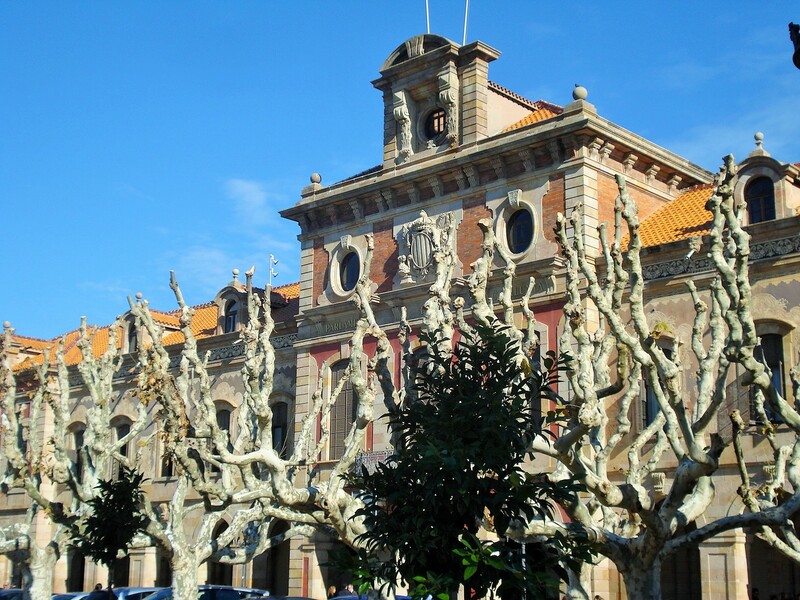 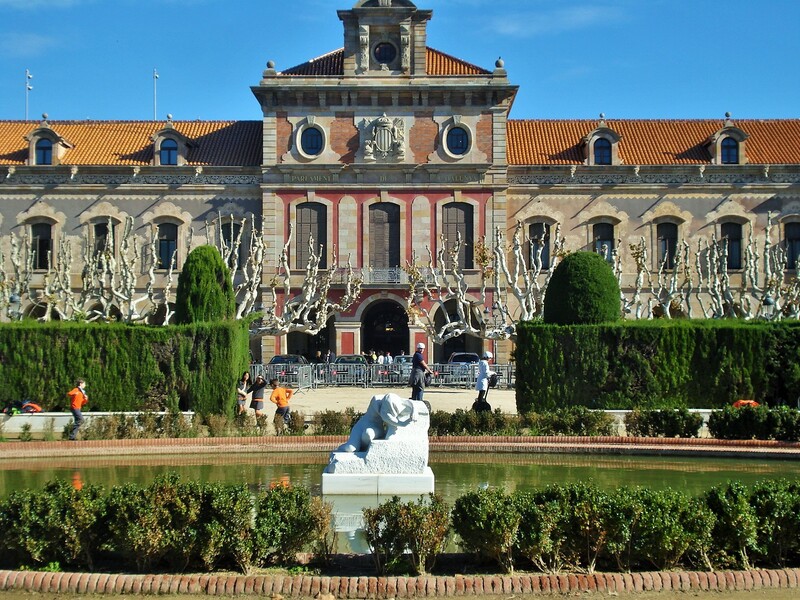 It is home to the Parliament building, the Barcelona Zoo, and the Geological museum. 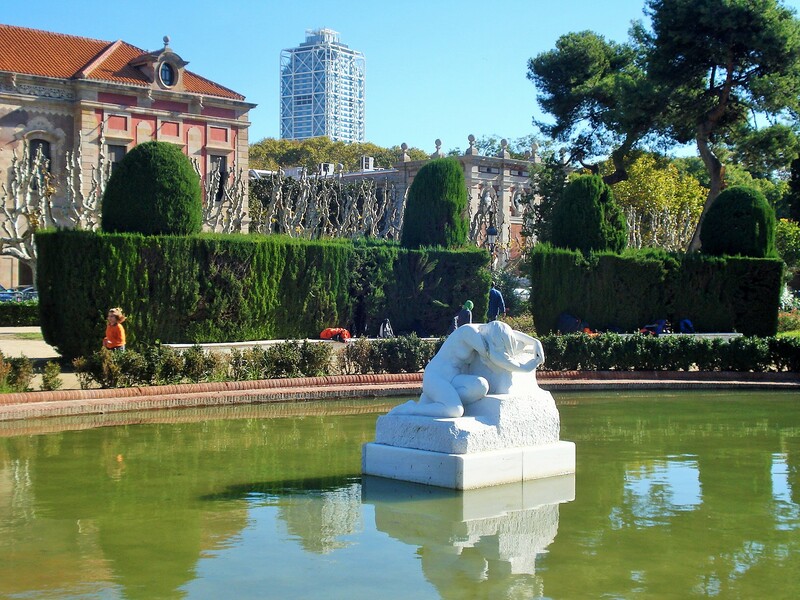 It is perhaps most famous for the very large waterfall fountain designed by Fontsere in the 1880s when Gaudi was his student and is believed to have contributed to it. 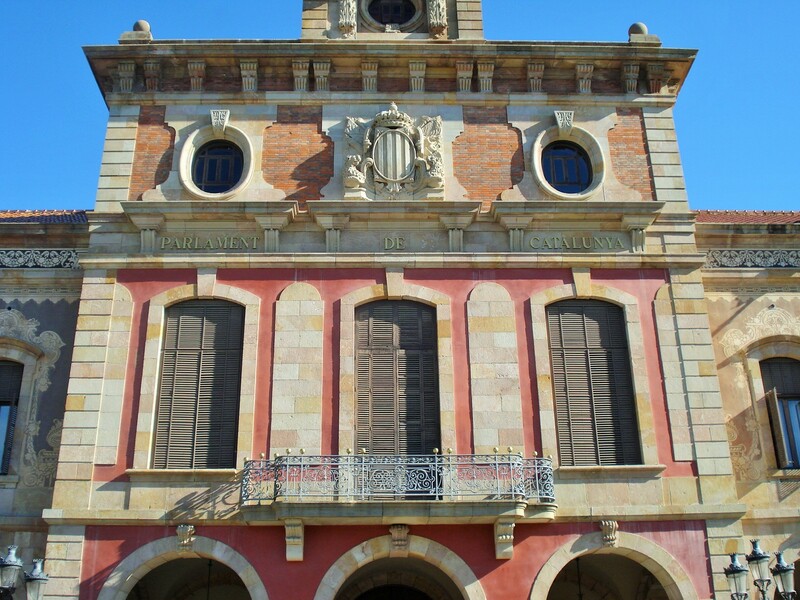 It was inaugurated for the Universal Exhibition. 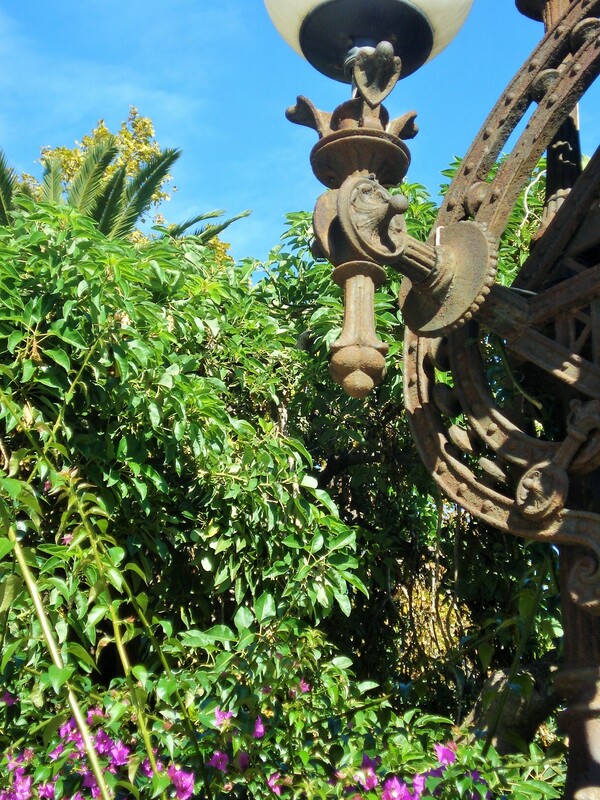 See my other post for more on the fountain and the rest of the park. 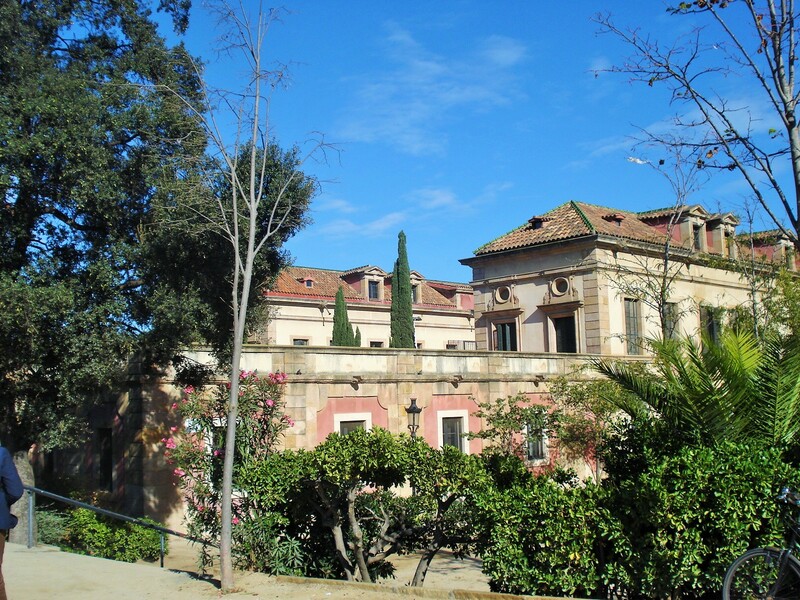 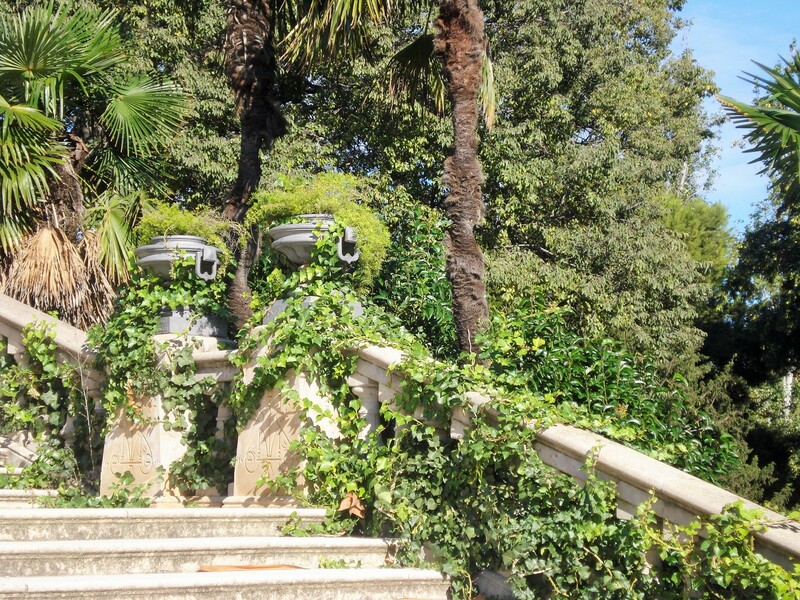 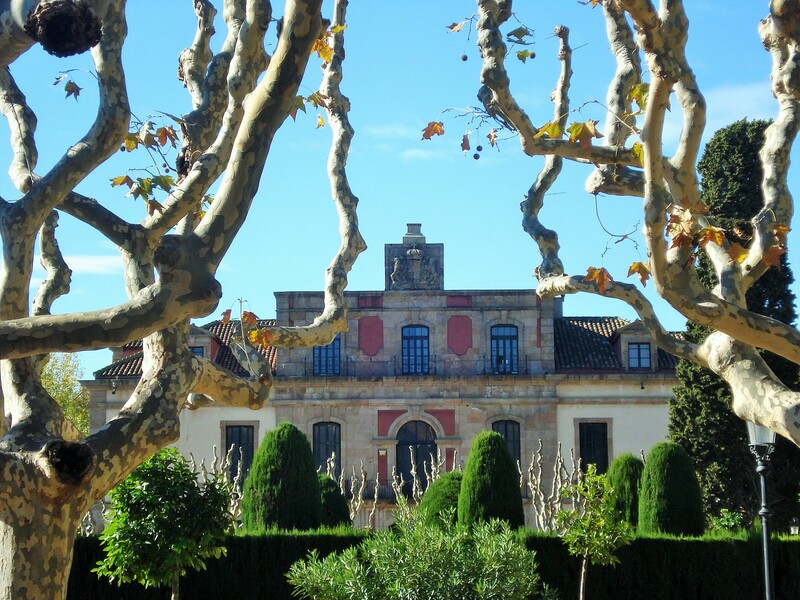 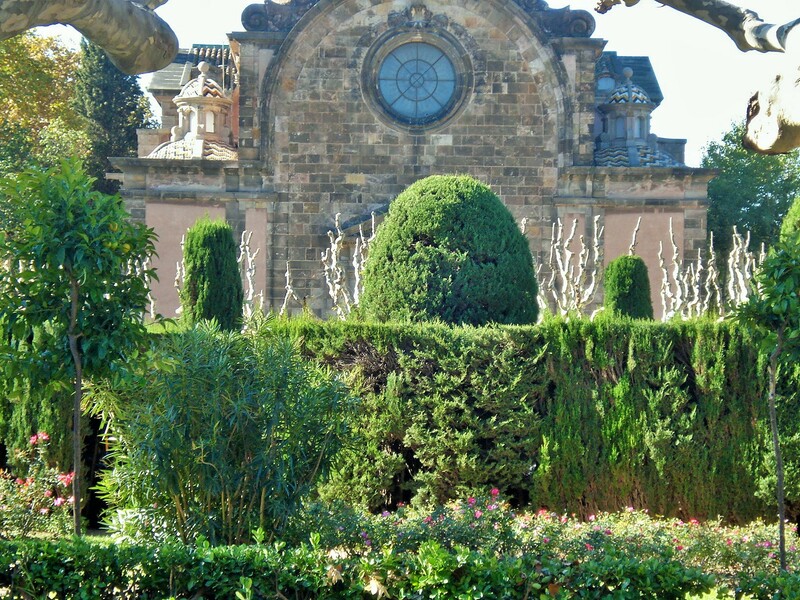 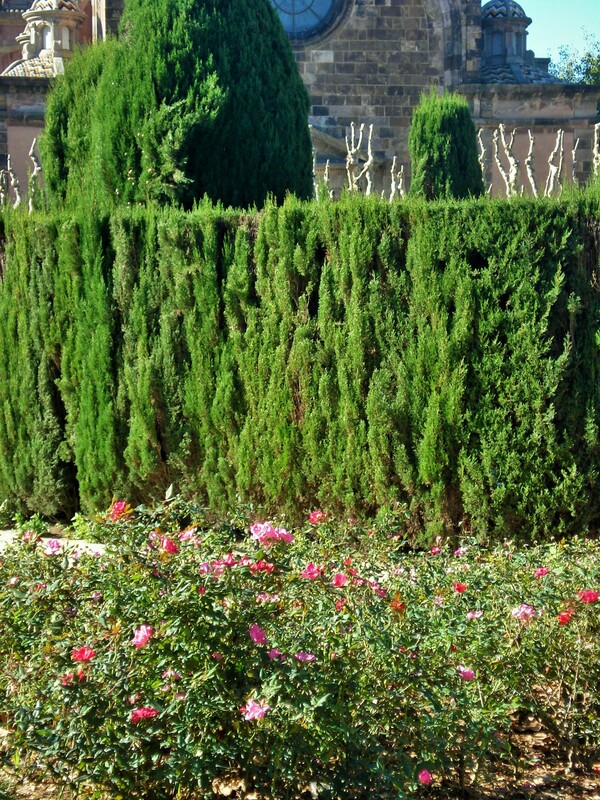 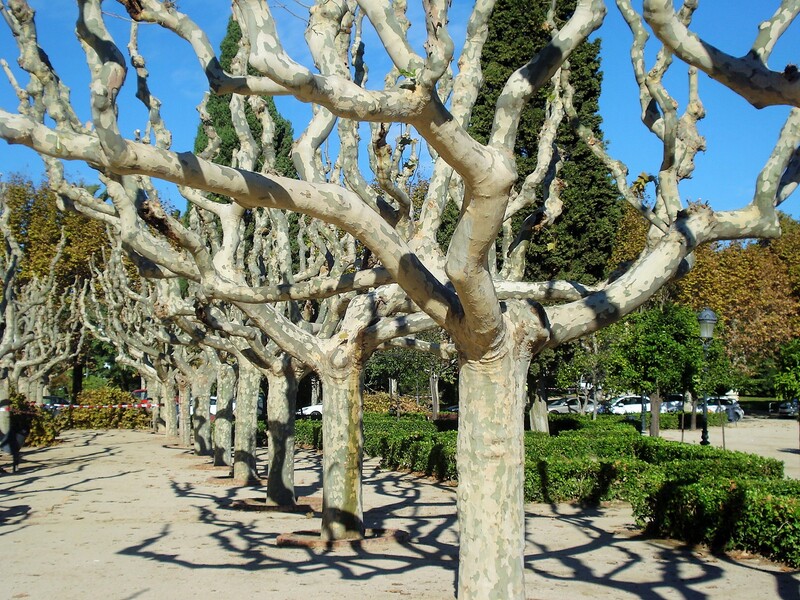 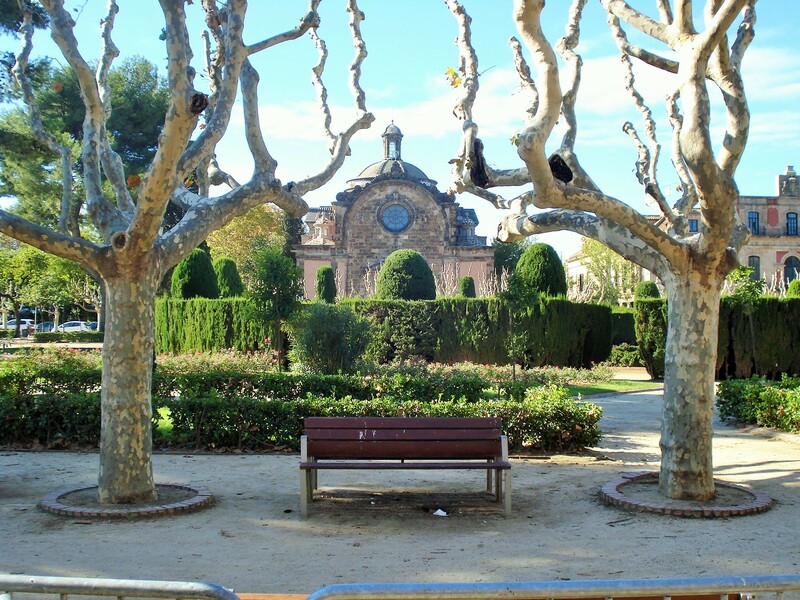 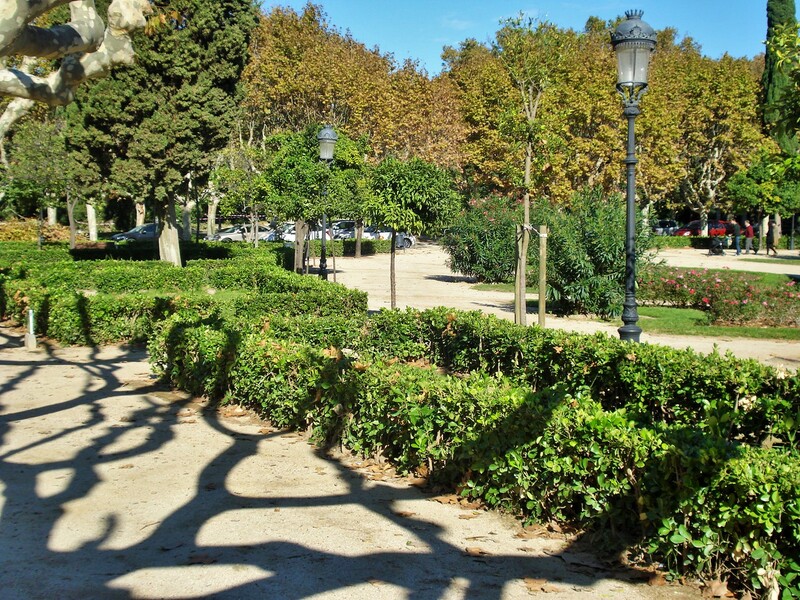 The gardens by the Parliament and the Zoo are the most formal part of the Ciutadella, with neatly trimmed hedges, rows of plane trees, roses borders and a fountain.